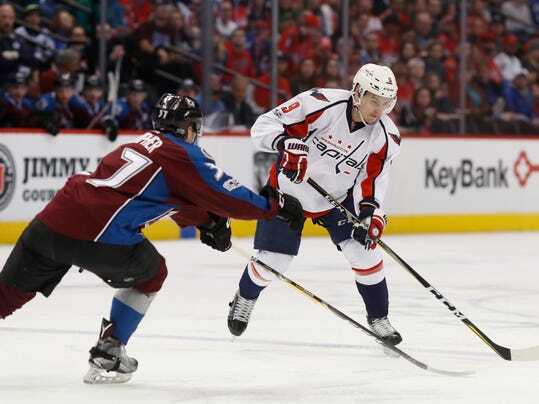 ARLINGTON, Va. (AP) — The Washington Capitals re-signed Dmitry Orlov on Friday to a $30.6 million, six-year deal, a contract that reflects his improvement on the ice. Orlov, who has become one of Caps’ best defenseman, will count $5.1 million against the salary cap through the 2022-23 season. General manager Brian MacLellan announced the move one day before Orlov was set to become a restricted free agent. The 25-year-old Russian was the Capitals’ most improved player last season. He had six goals, a career-high 27 assists and 33 points in 82 games after missing the entire 2014-15 season with a wrist injury.